by Paul A. LaViolette Ph.D. I read 1/3 of the book, and skipped around to places of various interest before losing interest. I dont think the author knows how to teach, and I dont even think that is his motive, although it should be. If I was trying to reveal such wonderful stuff I would make it as basic and understandable and organized as I could, so that the average high school kid could read it with a little bit of thought (or if there was a certain level of knowledge in physics or math that was required to understand what is in this book, i would point out the right type of source to learn the prerequisites). That would help create more people that support this stuff. basically: since it isnt presented in an easily understandable manner it kind of grinds the credibility. If you are looking for the type of knowledge that will help you build anything to demonstrate anything new and exciting, then forget it. If you are looking for various information that isnt neccessarily organized for any practicle purpose, besides to understand something you already understand better.... this is for you. Well, I have little idea about where should I start. In any case, and after reading this very interesting book, I found an impressive amount of unknown data that I have enjoyed a lot. I began studying gravitics from a fusor, and finally reached Podkletnov experiment, who marked my life forever. The same subquamtum kinetics Paul explains, is mostly the same conclussions I obtained myself after 8 years of intense researching in the topic. Almost same conclusions are obtained, but in a different way, since, as engineer, I got just relativistic theory as a medium to write it scientifically. Right now I have another approach into the matter, and right now I know also tons more that I knew just a month ago, before reading this book. Personal thinkings away, I must admit that this book is "uneasy" to many ppl out there, and classic so called "scientist" inmediatly refuses this book's contents. I have got in some troubles because that, so not new to me already. By definition, a scientist is an open minded person, so those who calls themselves such, should think twice before stating "stupidities" about the facts and the wrongs. MEC,SEG, Electro-gravitics, what a wonderful new science insight. Book itself tells by its own. Wow.This book is awsome.For decades I have felt that Einstein was all wrong.Now I know it.This book is very technical and my not be for everybody.However, even if you're not an engineer or scientist, you will get a lot out of this.This should be required reading in every college engineering or science cirriculum. 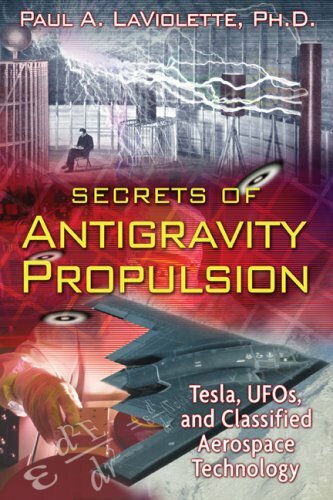 This book thoroughly explains antigravity and everything that surrounds it.The author, Paul A. LaViolette, writes and explains the subject very well to the extent that every reader is capable of understanding the phenomenon. This book is definitively a must-buy for everyone that wants to have a deep knowledge in antigravity. Read this... and expand your mind. Just check out the negative reviews.They are quite condescending to the would-be buyers... making it seem like anyone who buys and reads this book must be crazy kook who runs around with aluminum-foil hat on 24-7. I see phrases like "woe to the misled imbecile" or "if you are stupid and proud of it, this is the book for you".I find these reviews insulting, but at the same time it makes me wonder if these reviews were planted here to dissuade a purchase. I'm a science-minded professional myself, and I have many friends, colleagues, associates and clients who are scientists.All I can say is that the level of arrogance in the scientific community is astounding.What else could it be but complete ARROGANCE that makes people think that everything we know about science has already been discovered (and if we haven't discovered it, then it will fit neatly into a well-defined little box when we do)? It's well known in scientific social circles that if you ever bring up the subject of UFOs, anti-gravity, aliens, "free energy" or any other "fringe science" topic with any seriousness, you immediately discredit yourself and any and all of your work.This is very sad, and because of this attitude we are holding ourselves back more than we realize... Seems a little bit like the "dark ages" all over again. For sixty years, Sutton's Rocket Propulsion Elements has been regarded as the single most authoritative sourcebook on rocket propulsion technology. As with the previous edition, coauthored with Oscar Biblarz, the Eighth Edition of Rocket Propulsion Elements offers a thorough introduction to basic principles of rocket propulsion for guided missiles, space flight, or satellite flight. It describes the physical mechanisms and designs for various types of rockets' and provides an understanding of how rocket propulsion is applied to flying vehicles. Packaging suffered during shipping, but product was intact and in good shape.Speed of service was phenomenol.Arrived close to a week before I expected it to.Very happy with price service etc. 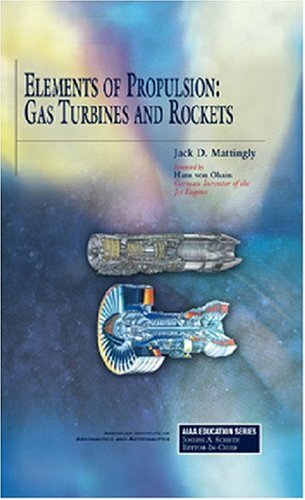 This is a great book for those interested in rocket propulsion; engineers, student and peers. In detail it begins with an overall view of propulsion systems (including electrical) to then in different chapters treat subjects such as, stability, liquid propellants, solid propellants, turbomachinery, construction challenges (with solutions) and injectors etc. In addition, it contains questions and worked problems. I also own the seventh edition released in 2000. Although ridden with mathematical formulas and diagrams, it's an easy-to-read book if you are a undergraduate student in engineering/science. Beacuse of this a certain amount of knowledge in most scientific fields are required (chemistry, mechanical engieering, math and physics) otherwise the marvels explained can't be fully appreciated. This review is about the eight edition. 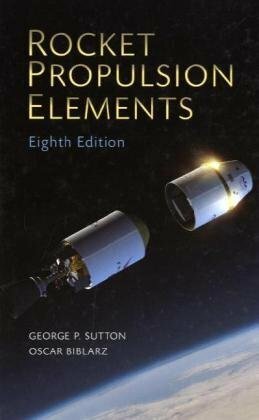 Using this book as reference for my senior design class my group is designing a rocket engine and this book gives clear consice must know informtation about a variety of propulsion systems. This is a must have for any rocket scientists worth every penny! Thorough book!Great depth of information on the topic of rocket propulsion.When used as class text, it was very helpful! Good book. Must have for Aero Engineers. Try to get a good teacher for this subject as well and it will pay huge dividends. This book is excellent for Aerospace Engineering students and engineers alike. Contains plenty of graphs, tables, and "back-of-the-napkin" equations. I wouldn't recommend this so much as a "learning the concepts" text book,as it doesnt always explain the data it is present very well. However for those already familiar with the topics covered it provides excellent reference. 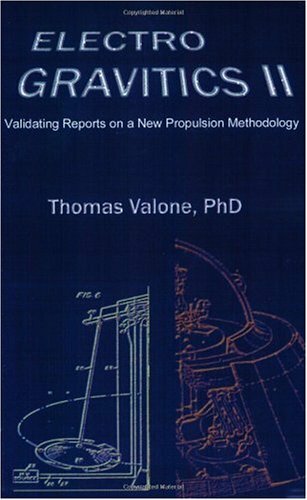 I'm working in the Aerospace industry and for me there are only two books on the subject that I use for unclassified reference litterature - this book and "Rocket Propulsion Elements" by C. Sutton. 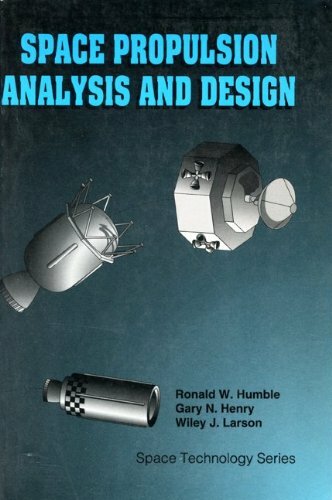 This book covers almost everything on the preliminary design level of a rocket propulsion system. Except for the typing errors this book is perfect. And I can surely recommend it for students as well as professionals. "Un Buon punto di partenza"
Il testo analizza tutti i motori per la propulsione spaziale; a propellente liquido (bi e mono), solido, ibrido, a gas freddo,nucleare ed elettrico. Una parte è dedicata anche all'apetto della missione orbitale e per la specifica missione anche quale tipo di propulsiore impiegare. Per quando riguarda la tematica strettamente motoristica vengono presi in considerazione le problematiche di carattere progettuale senza però entrare nei particolare. Il libro si conferma così "un buon punto di partenza". Personalmente lo consiglio a tutti quelli che volessero "iniziare a saperne di più". La "matematica" dei calcoli NON è a livello "universitario", e la lettura è molto scorrevole. Un'attenzione particolare va rivolta alla bibliografia, dove vengono citati report tecnici della NASA reperibili anche in rete. The book was new just as described and shipped in a decent time.Thanks. I prefer this book to Sutton for bacis understanding of the compressible flow as it relates to rocketry.Also, the explanation of the rocket equation is far simpler in this text than any other. This was our class text book for the "jet and rocket propulsion" course in our aerospace department when I took the class. I am thoroughly dissatisfied with the book. I think maybe this book is written to provide a general understanding of how things work maybe.. because it had a lot of writing and not much math/equations and even less examples. We had a big assignment in our class where we had to write a software that gave the temperature and pressure in every single component of a jet engine with afterburner - diffuser, compressor, combuster, burner, bleed air, etc - and this book did not help one bit. It is like the author will spend pages talking about jet engines in essay form, not many equations. And often, such as in the case of the after burner, he will just say it is similar to another component (in this case the combustion chamber), but that is not enough when you are deriving the relations for various kinds of engines. Maybe this books is great if you already know all the math, and just want to know interesting stuff about engines.. I guess it will compliment your mathematical knowledge and provide you with the bigger picture. But you will have to learn to do the calculations from another book (and you ccant design an engine without doing such calculations). Basically me and my group had to come up with ALL the equations on our own, the book only proved to be a waste of space on the table. We instead preferred to go back to the text we had used in Thermodynamics class since that was a much better book. Best Book For Propulsion. Period. This is just the best book for propulsion. But maybe not for beginners. And may be not for those who just want to score marks in exams by practicing large no. of problems but not caring for real & physical understanding of jet engines. Yeah, that's a big statement, but considering the fact that I own 7 other major propulsion books and refer to this one 10 times more than any of the others, I think it's definitely true.All of the top Aerospace Engineering schools use it, and for good reason. This is by far the best book on the topic I have found.If you plan to design or model any vehicle, but in particular a hybrid or electric vehicle, I recommend you own this book. Specifically, a large portion of the mathematical models required for design-level calculations are available directly from the text.The text is very concise, making good use of external citations to remain thorough.Finally, the optimization case studies are very helpful in understanding hybrid design goals. Highly Recommended for engineers and students with some experience in vehicles. If you're an expert or a student, or even a hobbyist with a lot of free time, anyone wanting to learn how to use numerical integrators (e.g. Matlab (c)) to model specific automobile components and vehicle performance should get this book.Here are a few components:Thermal Battery Models, Brushless DC Motors, Continuously Variable Transmissions, Pneumatic Accumulators, Fuel Reformers (for Fuel Cells), and of course IC Engines, Automatic Transmissions, and EVERYTHING in between. 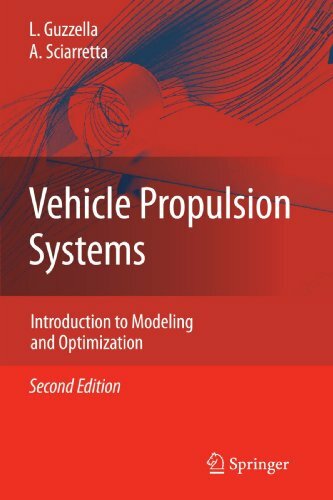 You can essentially design and analyze whatever automotive powertrain you'd like, electric hybrids, fuel cells, or pure ICEs, and put it through any type of command or velocity based schedule.It's a very "hands-on" book.There's even an online resource with Matlab (c) examples. 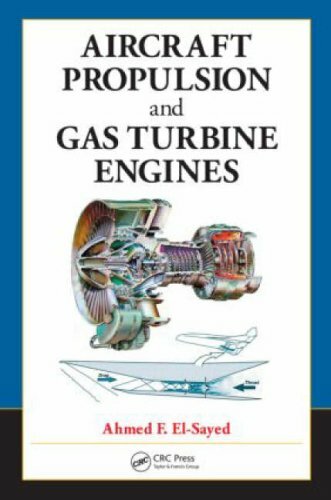 This is an outstanding book by a knowledgeable author that provides the basic know-how and skills that an aeronautical or mechanical engineer with an interest in jet propulsion will find useful and helpful. The book is well written in a readable and easy to follow format that provides the reader with a comprehensive overview of jet propulsion. The author clearly presents the concepts, principles and design issues of modern gas turbine engines. 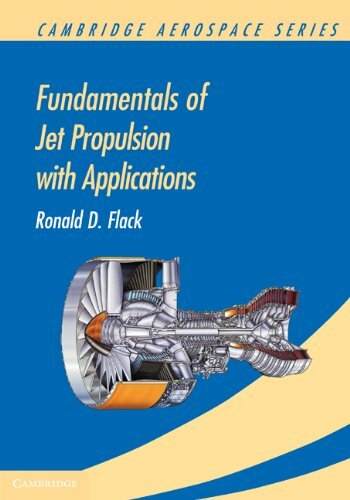 The reader will learn the various components of a jet engine including the intake design, compressors, turbines, combustion chamber designs, and the jet pipe and how thrust is produced as well as the physics and thermodynamics that go with these. The book has great explanations, diagrams and figures that the reader will find useful and helpful. 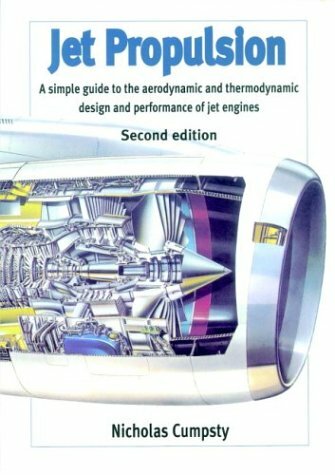 I recommend the book to engineers wishing to learn more about the jet engine. This book keeps up with the promise in the title. It is a easily readable guide to design and perfomance of jet engine with a rigorous treatise of each field, even if the level remains simple. In fact the mathematical exposition is quite accessible, without a full analytical presentation. Nevertheless the formulae are clearly given with an effective theorical background when needed. Since the volume target is to clarify ideas and principles, each topic is attractively examined, emphasizing the qualitative treatment over the quantitative analysis to improve understanding of physical phenomena. This facet is quite useful because it allows an overall comprehension in mastering design process of jet engine. Besides, the emphasis on having a clear picture of principles provides the basis for a fair evaluation ofengine perfomances under real conditions. The escalating use of aircraft in the 21st century demands a thorough understanding of engine propulsion concepts, including the performance of aero engines. Among other critical activities,gas turbines play an extensive role in electric power generation, and marine propulsion for naval vessels and cargo ships. 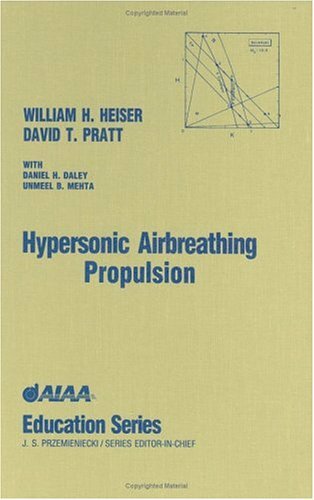 In the most exhaustive volume to date, this text examines the foundation of aircraft propulsion: aerodynamics interwoven with thermodynamics, heat transfer, and mechanical design. With a finely focused approach, the author devotes each chapter to a particular engine type, such as ramjet and pulsejet, turbojet, and turbofan. Supported by actual case studies, he illustrates engine performance under various operating conditions. Part I discusses the history, classifications, and performance of air breathing engines. Beginning with Leonardo and continuing on to the emergence of the jet age and beyond, this section chronicles inventions up through the 20th century. 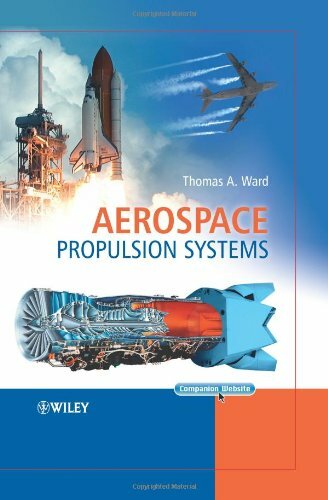 It then moves into a detailed discussion of different engine types, including pulsejet, ramjet, single- and multi-spool turbojet, and turbofan in both subsonic and supersonic applications. The author discusses Vertical Take Off and Landing aircraft, and provides a comprehensive examination of hypersonic scramjet and turbo ramjet engines. He also analyzes the different types of industrial gas turbines having single-and multi-spool with intercoolers, regenerators, and reheaters. Part II investigates the design of rotating compressors and turbines, and non-rotating components, intakes, combustion chambers, and nozzles for all modern jet propulsion and gas turbine engine systems, along with their performance. Every chapter concludes with illustrative examples followed by a problems section; for greater clarity, some provide a listing of important mathematical relations. 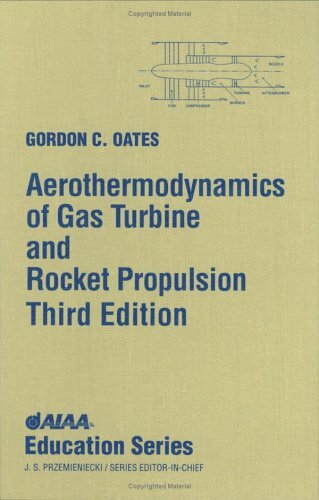 Geared toward advanced undergraduates and graduate students, this text systematically develops the concepts of electrical acceleration of gases for propulsion. Starting with primary physical principles and concluding with realistic space thruster designs, it surveys aspects of electricity, magnetism, and ionized gas mechanics underlying physical mechanisms of gas acceleration. 1968 edition. 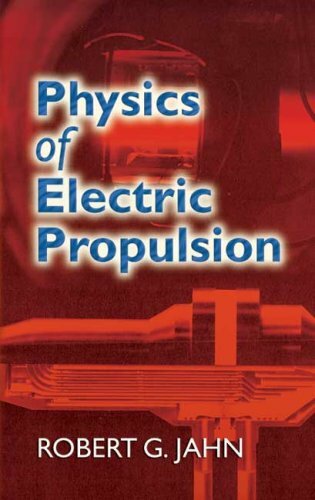 This book is about propulsion in outer space and has nothing at all to do with electric vehicles. 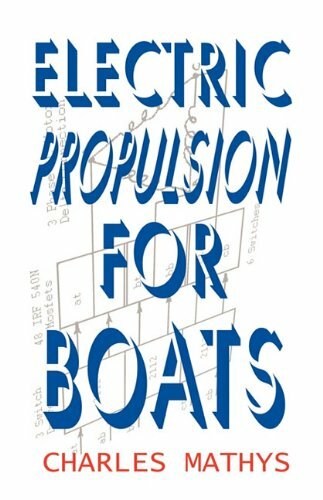 Great Book!Well written and easy to follow.Very informative of the field and subject matter.Great as an introduction to electric propulsion and for an advanced understanding.Chapters are supported with pictures and diagrams that illustrate the concepts presented. 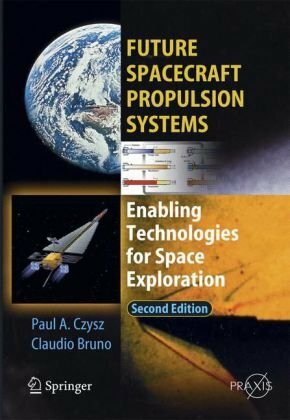 An understandable perspective on the types of space propulsion systems necessary to enable low-cost space flights to Earth orbit and to the Moon and the future developments necessary for exploration of the solar system and beyond to the stars. I can not recommend this book strongly enough. 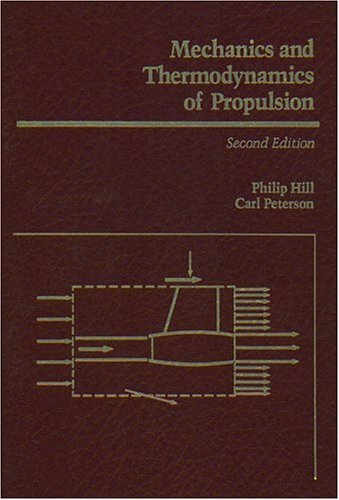 It is a delight to read and a big source for any one interested in new propulsion systems. My be "new" is not the proper word for it as most of the propulsion theories and methods are actually dating back to the 2nd World War.The Author Thomas Valone PhD has created something called Integrity Research Institute which is a publishing company for future energies - Zero Point Energy The Fuel of the Future etc. You can write to the Institute and ask for the free CD, it is full of interesting goodies, such as a video clip of a real, huge and rotating UFO-disk filmed somewhere in Bulgaria. I have read Gravitics I and II and recommend them both highly. The Kindle version of this book is poor to read. Paragraphs are disjointed. Some paragraphs never end with a complete sentence or a period. The biggest problem is between sections 208 and 220. The mathematical formula is missing. This looks like a font is missing. I am using my IPAD to view and type this review. Kindle version is 2.01. This is not a review on the contents of the book. The implementation is the problem. An excellent overview of the history and current progress of electrogravitics. It is not a do it yourself book. This book was very mathematically oriented - much different than EG1.It had very good info, but was more a compilation of other people's articles and research. If you're looking for a book along the lines of EG1, you will be disappointed here. This seminal book on gas turbine technology has been a best-seller sinceit was first published in 1984. It now includes a comprehensive set ofsoftware programs that complement the text with problems and designanalyses. 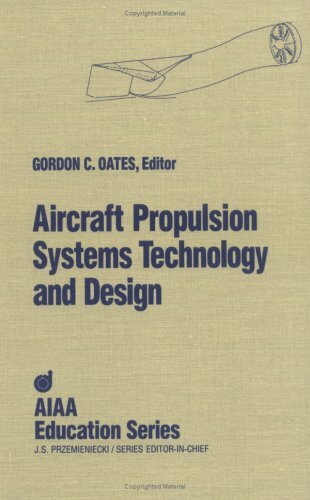 Software topics included are: atmosphere programs,quasi-one-dimensional flows programs (ideal constant-area heatinteraction, adiabatic constant-area flow with friction, rocket nozzleperformance, normal shock waves, oblique shock waves), gas turbineprograms (engine cycle analysis and engine off-design performance), androcket combustion programs (Tc and Pc given, Hc and Pc given, isentropicexpansion). Used as a standard text in more than 50 universities, the bookand software will continue to fulfill the need for a comprehensive modernbook on the principles of propulsion.